2. Embroidery Hoop, I used this 10 inch wooden one. 3. Stiff felt sheets in yellow and black. 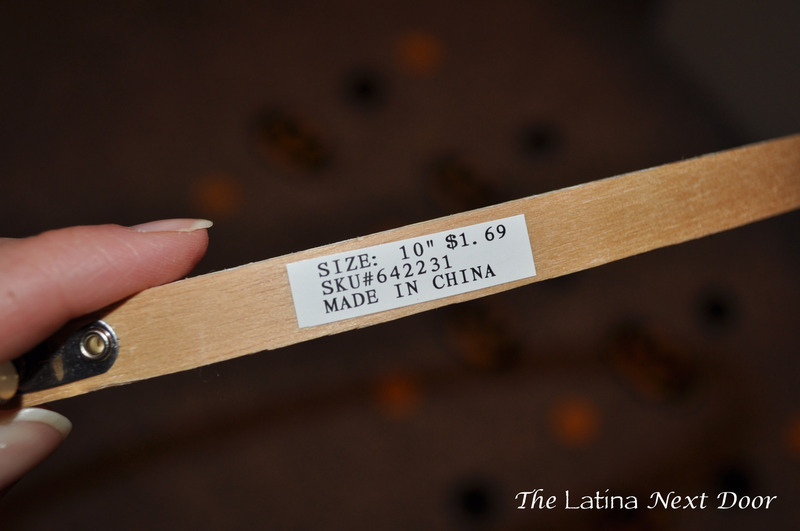 I think I used 2.5 sheets and they run about $0.89 each if I remember correctly. I found the logo I wanted to use online (there are tons, from original batman to the newest version). 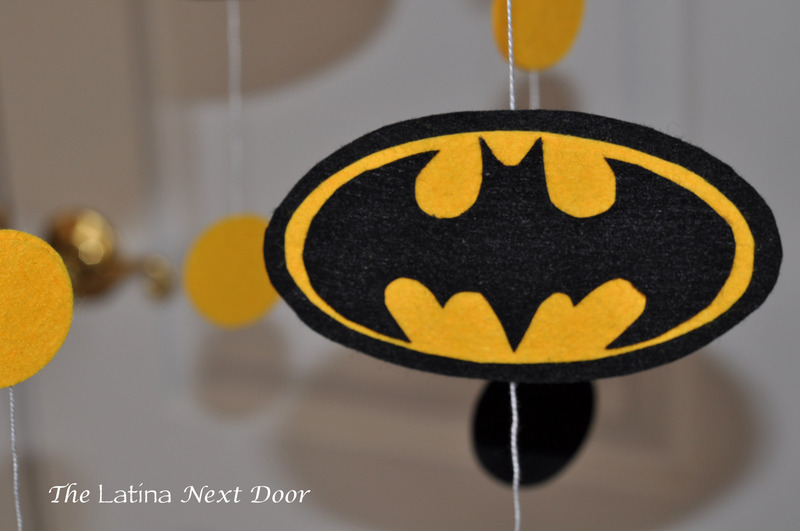 I chose “classic” Batman and used it to trace and cut the patterns. 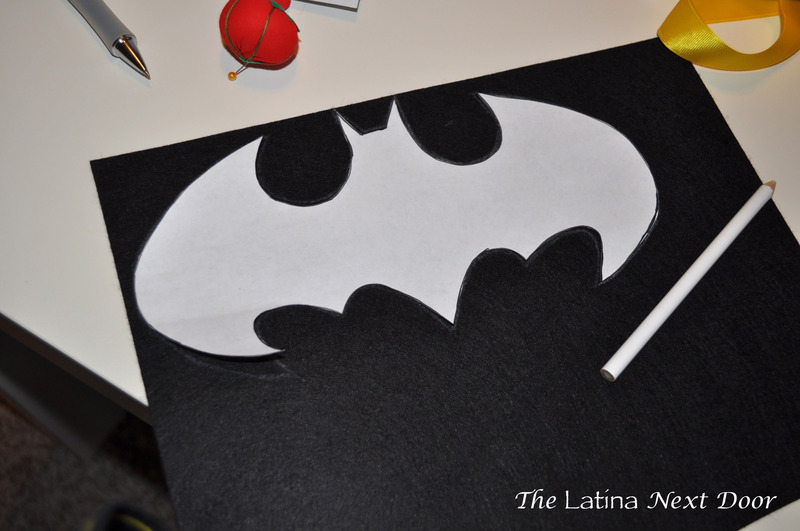 I traced with a white fabric pencil on the black felt sheet. I needed to decide how many hanging strings I wanted and what I was going to hang on it exactly. I chose the following pattern with 6 strings. 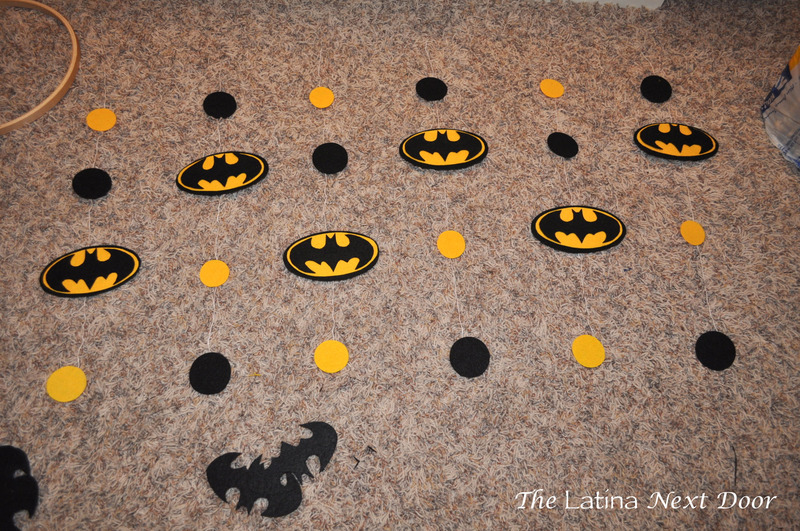 I decided to add circles since I didn’t want to overwhelm it with too many Batman logos. 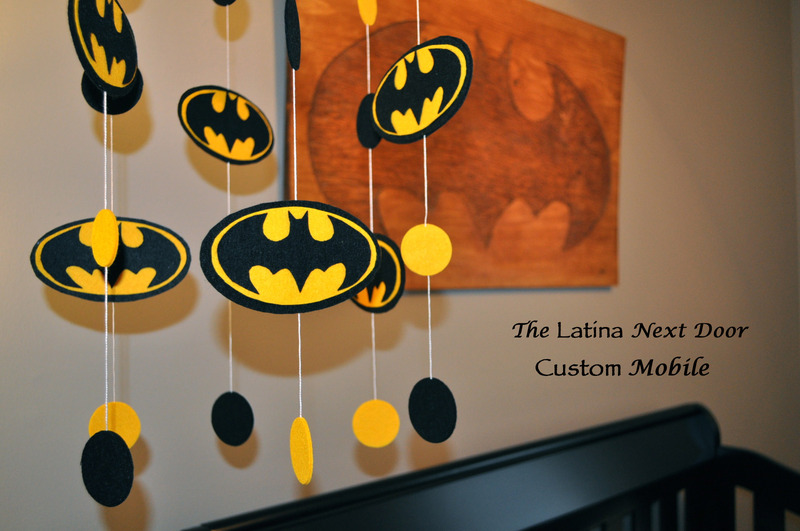 And then I wanted to alternate the patterns where there was a high Batman and a low Batman. It needed to be an even number so that the pattern went all the way around smoothly. Then I proceeded to glue. 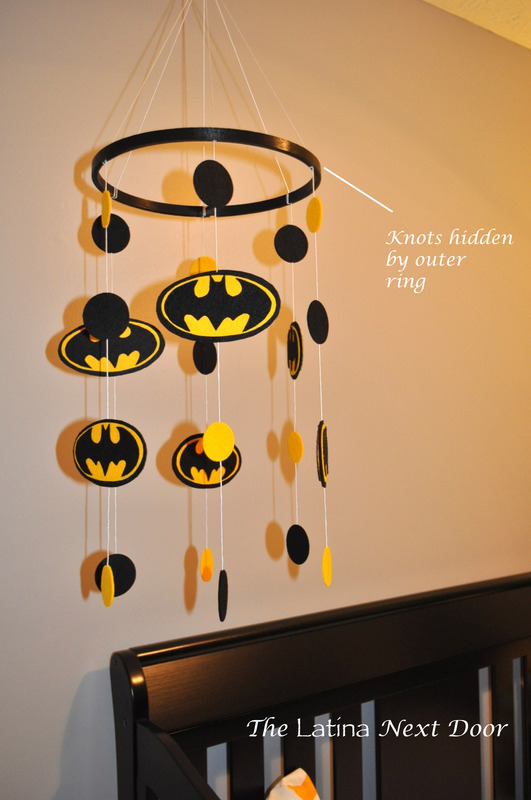 Please remember, you have to make 2 of everything for each decorative piece since it will be hanging. 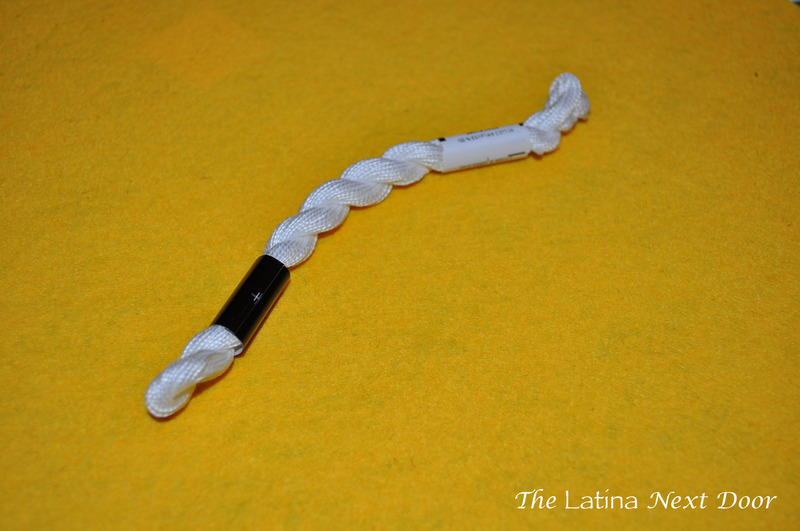 You want to glue a piece on either side of the string. 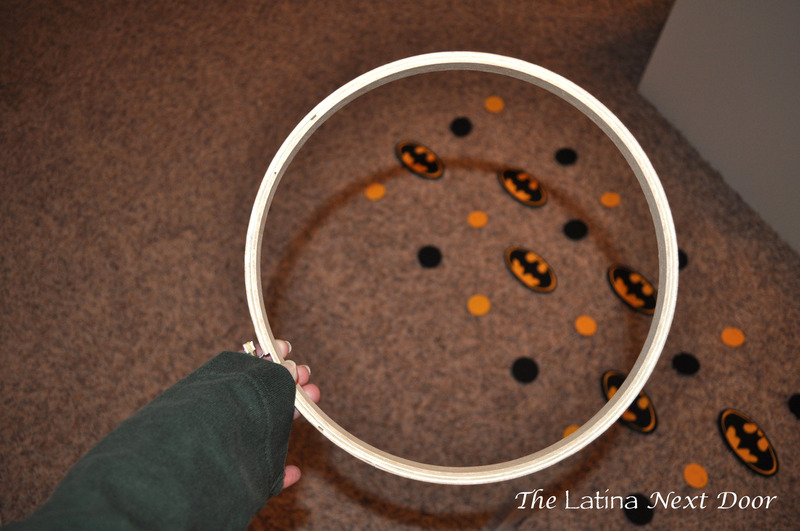 For each Batman logo, you need 2 black ovals, 2 yellow smaller ovals and 2 bats. 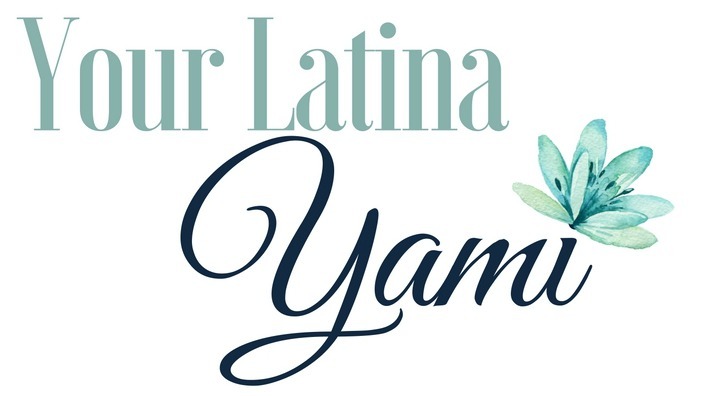 Here is a close up of the logo. 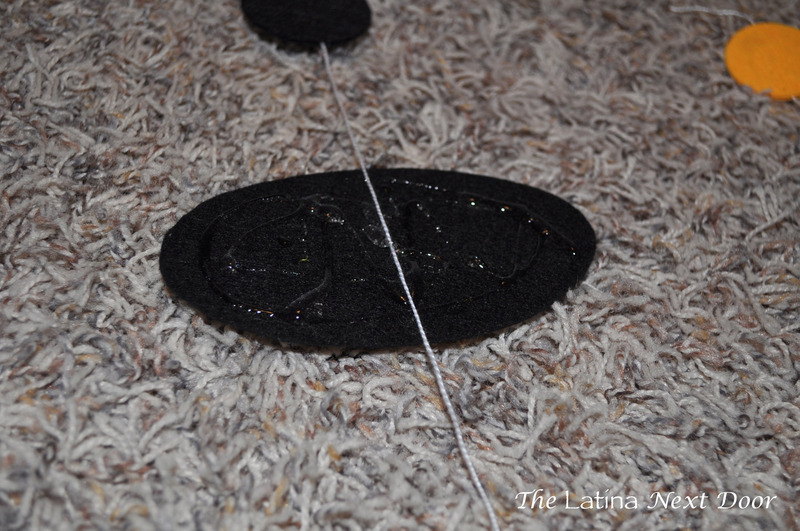 I tied the tops of the strings with a double knot to the hoop after I had painted it black and let it dry. I tried to space them out as evenly as possible. The next step was a little tricky, cause you need some patience. You have to cut 6 more long strings to attach to the loop so you could hang it. I tied them each at each decorative string location in order to keep it balanced (make, sense?). Once you get them nice and level, tie a knot to hold them together and keep the balance.Then you tie another knot at the top ends of the strings (not pictured) to hang from a hook on the ceiling. Cut off all the excess string and hide the knots with the outer embroidery ring and then your done! So there you have it. 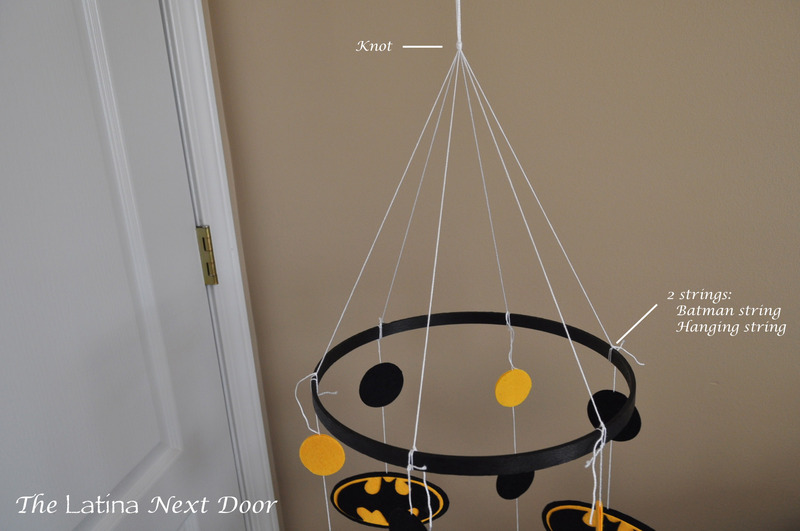 An awesome baby mobile that everyone will talk about. Easy and inexpensive. The great thing about this is that you can make it any color for any super hero of your choice. Hope you like!!!! Very cool tutorial- thanks for sharing! I have a question about the embroidery hook- the metal parts where you adjust it. Did you remove them? I can’t see it in your photos, so am wondering if you took it off, but then how did you keep the hoop together? Thanks!